If Advanced Micro Devices was thinking it had a shot of delivering GPU coprocessors to supercomputer maker Cray - which already uses its Opteron chips in its HPC clusters - the odds just went down. 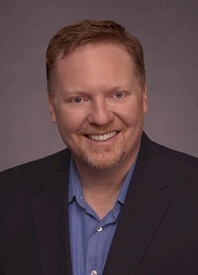 Former Cray chief technology officer Steve Scott, who spent 19 years designing machines and interconnects, has just been tapped as the new CTO for Nvidia's Tesla GPU coprocessor products for workstations and servers. As El Reg reported last week, Scott gave two weeks' notice on August 1, saying he was leaving the company to take a senior position at one of Cray's technology partners. Cray's big partners are AMD, which is shopping for a new CEO, and relatively new partners Intel and Nvidia. The other big Cray partner is the US government, which buys a lot if Cray gear for its military, energy, and science initiatives through the Defense Advanced Research Projects Agency as well as the Department of Energy. While there was some enthusiastic tongue wagging about Scott going to AMD, Intel was perhaps the most obvious place where Scott could end up. Nvidia would seem to be an unnecessary choice with Bill Dally, a parallel computing expert from Stanford University, already in the role of chief scientist at the graphics chip (and soon to be server and PC chip) maker. But apparently Nvidia wants a top-notch techie to be in charge of its Tesla GPU coprocessor ramp. There are a lot of potential future profits riding on the Teslas after all. The Tesla GPU coprocessor is to the discrete video graphics card what the server processor is to the desktop and notebook processor: Not much volume, but perhaps most of the profit. Scott got his BS in electrical and computing engineering at the University of Wisconsin, which is not far from the old Cray stomping grounds, and then went on to get his MS in computer science and PhD in computer architecture as a Badger too. After graduating, he went to Cray and has worked there ever since (although the parts of Cray that he worked for changed hands three times since 1992). Scott holds 27 US patents in the areas of interconnection networks, processor microarchitecture, cache coherence, synchronization mechanisms, and scalable parallel architectures. "There are few people on the planet that have Steve's deep system level understanding of high performance computing," said Dally in a statement. "Steve's decision to join Nvidia is a resounding endorsement that GPU accelerated computing is the future of HPC. He will play a central role in architecting the world's most powerful supercomputers." Scott will take over as CTO of the Tesla business at Nvidia, and will be responsible for its architecture and roadmap, ensuring that the impending Cray XK6 hybrid CPU-GPU supercomputers and their follow-ons will get GPU coprocessors that are appropriate for the CPU and interconnect technologies available at the time. Scott will not be giving preferential treatment to Cray, of course, but will be working with all supercomputer and workstation makers that are trying to offload calculations from CPUs to GPUs. The Tesla business unit is still a tiny part of the overall Nvidia revenue stream, but it is growing. And it isn't growing because the hardware is getting improved so much as supercomputer application developers are figuring out how to split their X64-based applications so portions of it can run on Tesla GPU coprocessors. In a conference call with Wall Street analysts last week, Jen-Hsun Huang, president and CEO at Nvidia, said that the Tesla line was "on the way to becoming a couple of hundred million dollar business", but he neglected to provide details on how much Tesla contributed to Nvidia's sales and profits right now. To make Tesla sales take off, Nvidia needs to have a large portfolio of applications that are able to offload calculations to the GPU coprocessors right out of the box as well as the CUDA development kit for helping companies roll their own C, C++, and Fortran applications. Computing transitions are often forced by the dire economics of the time and a need to get more done for a lot less money. Huang was asked on the call if the Tesla business was tied to the ups and downs of regional GDPs in the countries around the world and if customers get more hesitant or accelerate their purchases of GPU coprocessing if GDP slows. "Well, that's a good question," said Huang in the call. "We're trying to figure it out ourselves, to be honest." Because the Tesla business is at an early stage in GPU computing, it is by necessity a lumpy business. "It's still very much, at the moment, an application-driven business," Huang continued. "The more applications we have ported, the greater the opportunity we will see. And so I don't know that in the near term right now that it's tied to GDP or anything like that. I think it is just way too small of a business to be affected by the global economy. People who are early adopters have very severe computation needs and those severe needs exist whether the economy is doing well or not. More than anything right now, the lumpiness of the business comes from occasionally very large deals because they go into large data centers. And those design wins and installations don't happen on a regular basis yet." And this, of course, is one of the things that Scott, the new Tesla CTO, is going to be focused on. In the second quarter of fiscal 2012, which ended on July 31, Nvidia's overall revenues were up 5.7 per cent, to just over $1bn, and net income rose by 12.1 per cent, to $151.6m. GPU sales were $638.5m, up a mere one-tenth of a point sequentially compared to the first quarter of the fiscal year.